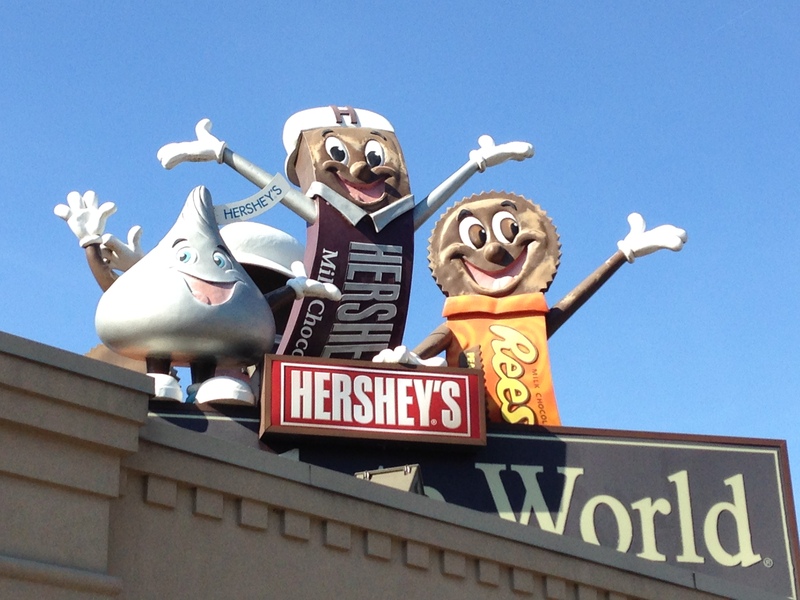 This month, I made a trip to Hershey’s Chocolate World in Hershey, PA on the way back from visiting my alma mater. One of my memories as a child is going to Hershey Park in the summer to ride all the thrilling amusement rides and to visit Chocolate World. 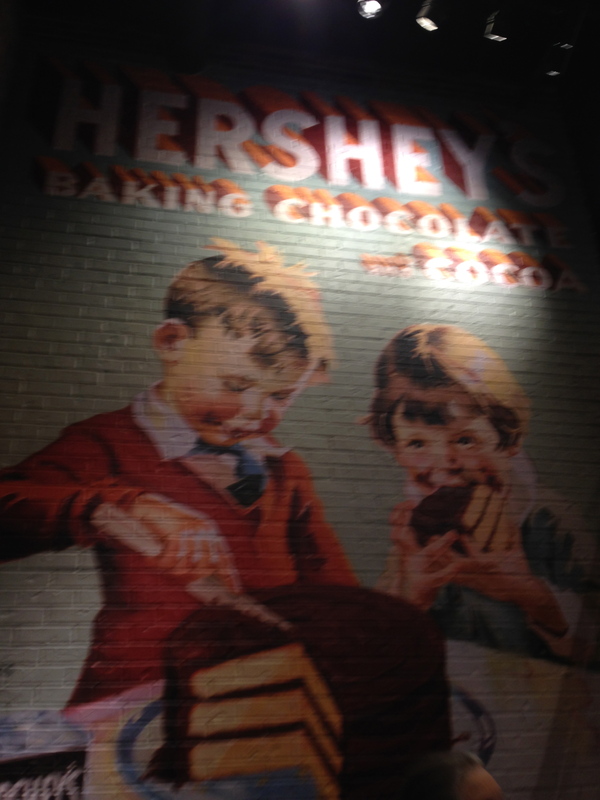 The best part of Chocolate World was the ride inside that detailed the process of making Hershey’s chocolate. As you walk into Chocolate World, you are blown away by the smell of chocolate emanating from the building. The aroma is overwhelming and you become immersed into a magical world where nothing matters except all the chocolate treats that you can purchase there. Needless to say, I went home with a goodie bag. 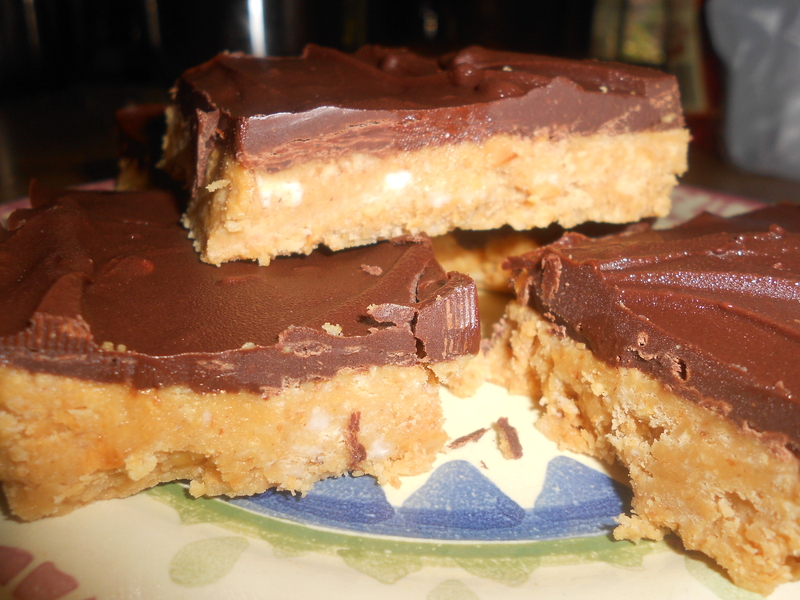 When i returned home, I felt the need to whip up my very own chocolate creation inspired by Milton Hershey himself. I put a Hershey twist on brownies. 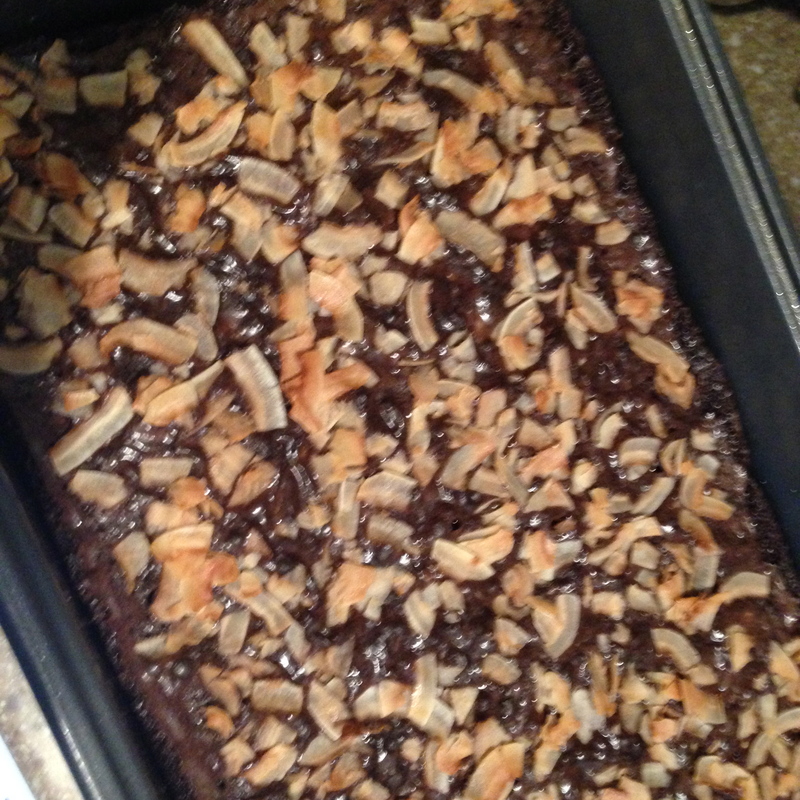 I used Pillsbury Dark Chocolate brownie mix and doctored it up to make Almond Joy Brownies. 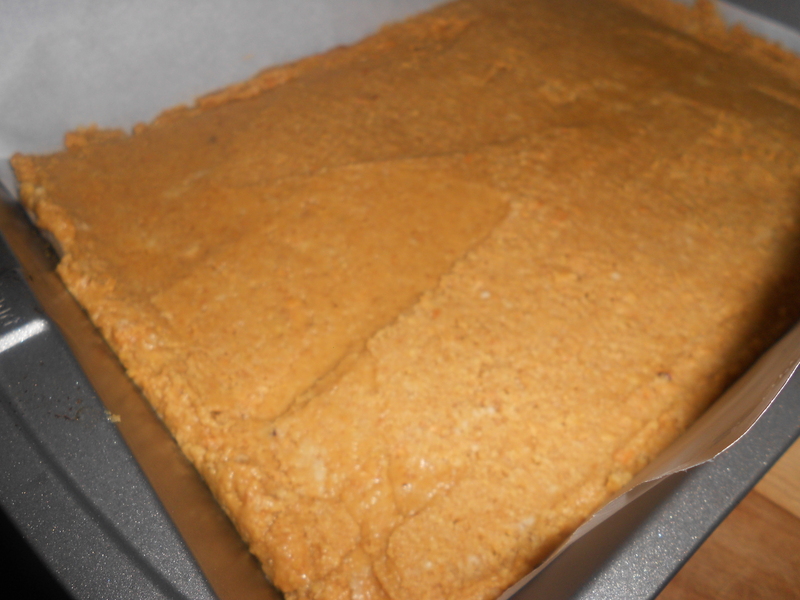 I made the batter as stated on the box, then added 1/2 tsp of coconut extract, 1 tsp of almond extract, and 3/4 cup sliced almonds to the batter. I poured the batter in a 13×9 inch pan and then topped the batter with coconut flakes. 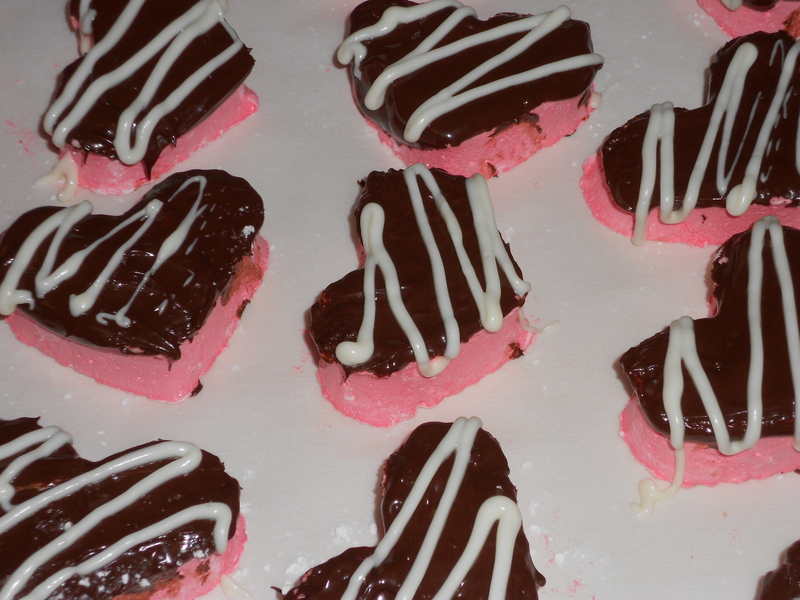 I used Toasted Coconut Chips from Creative Snacks Co. This sample bag was given to me by one of my sales reps this summer. If you use regular coconut, be sure to toast it in the oven before you top off the brownies. Bake the brownies as directed on the box. The result is a twist on a classic and your dinner guests won’t be able to pass on dessert. Top a brownie with the ice cream of your choice and hot fudge sauce to make an even more irresistible dessert. 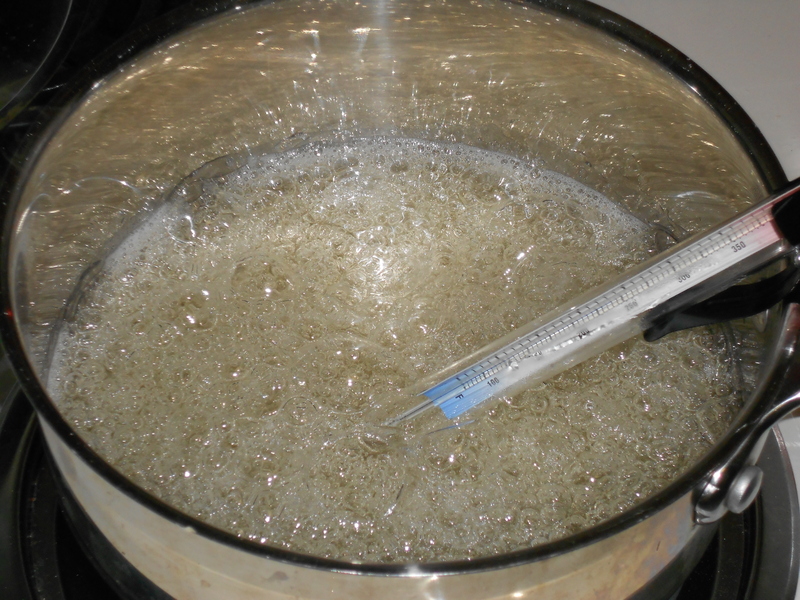 I’m not sure if you remember, but one of my goals for 2013 was to try some new cooking techniques. 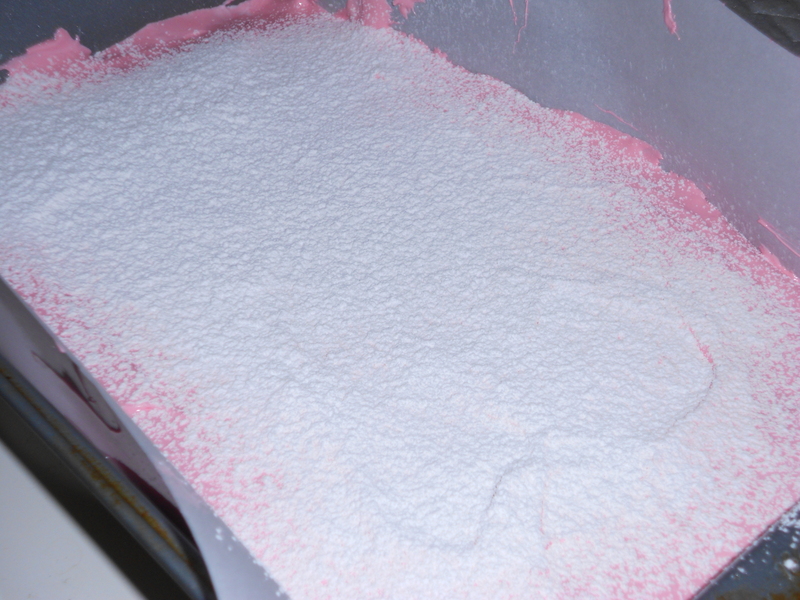 One of the techniques I mentioned trying was making marshmallows. Mission accomplished, cross it off the list! 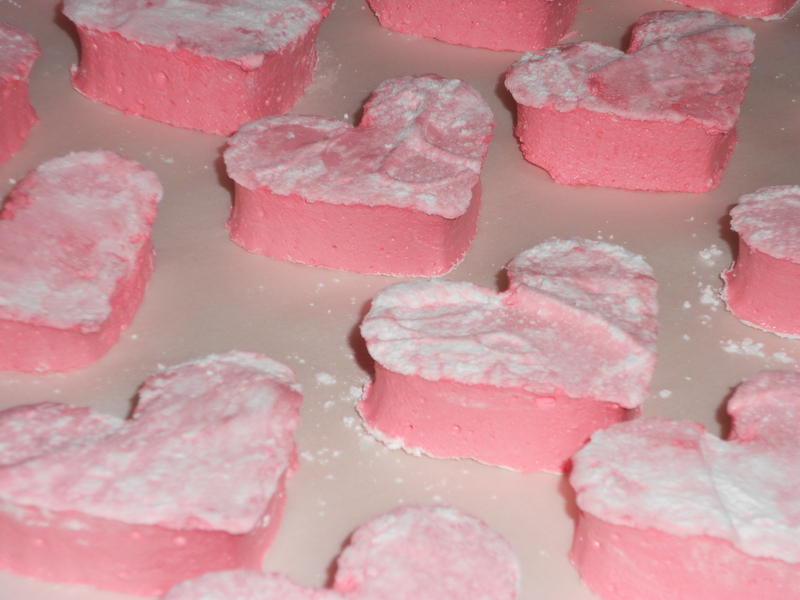 I decided it would be festive to make pink marshmallows for Valentines Day. And I was right, it is festive. I looked around at some different recipes online. It’s tricky when you’re trying something new because there are a few different techniques or ingredients. Some recipes call for powdered sugar, egg whites, or corn starch, but I went with a much simpler version from Ina Garten. 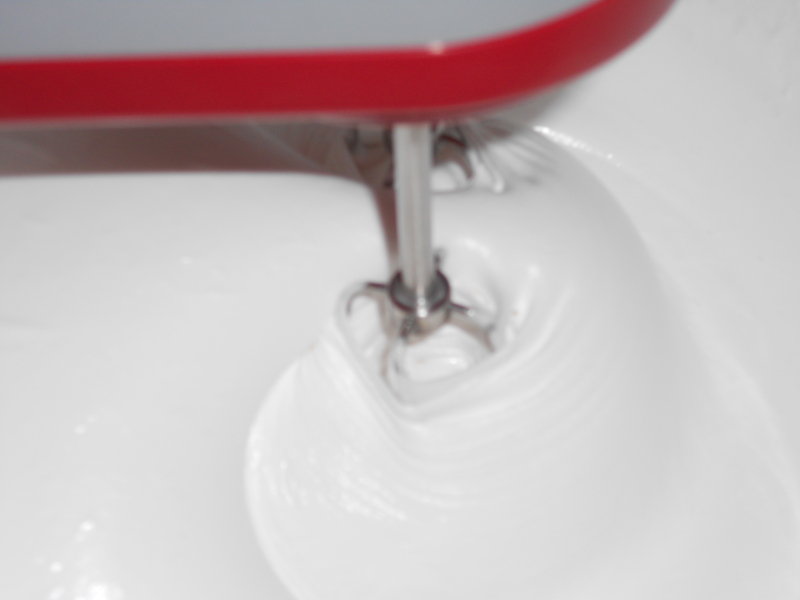 The recipe I used reminded me of my White Mountain Frosting debacle because there is a similar technique of combining corn syrup, water, and sugar in a saucepan and heating to 240 degrees. 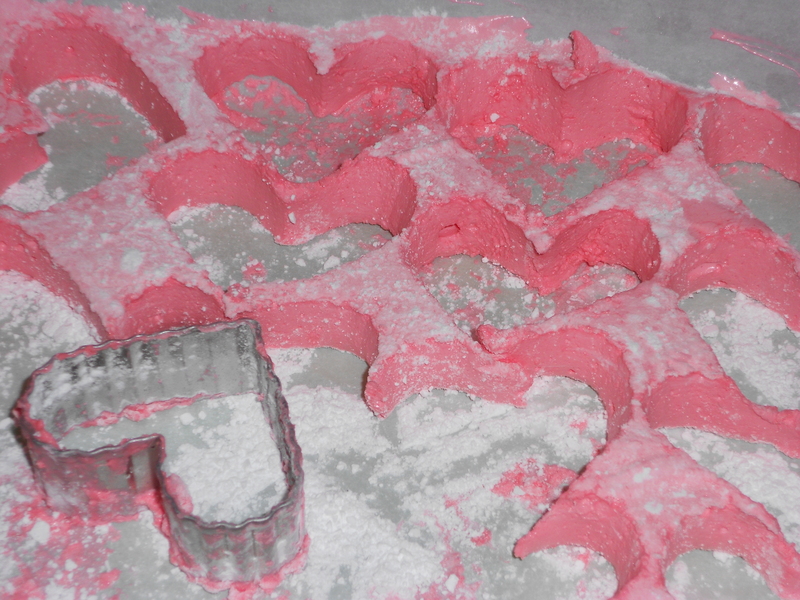 While a little labor and time intensive, I was happy to learn that making marshmallows was not difficult. The next day, lift the large marshmallow out of the pan and place on a cutting board. 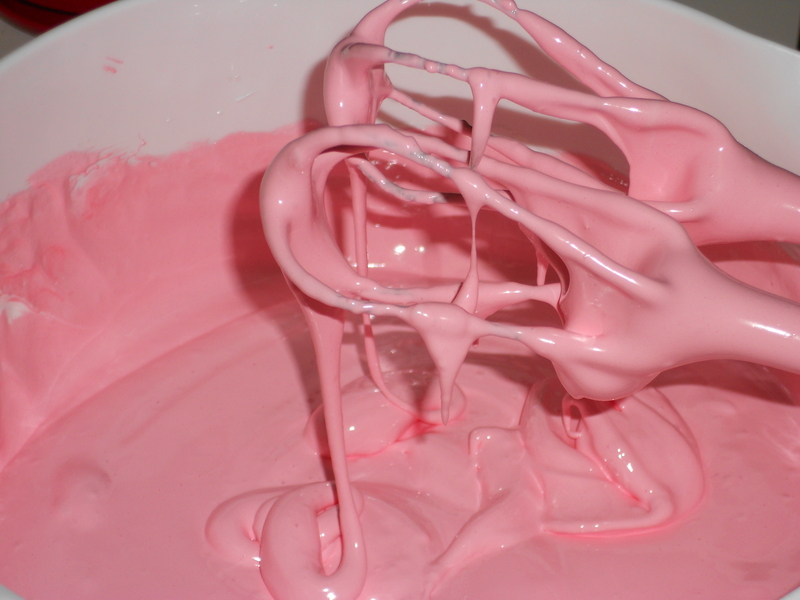 Use a knife or a cookie cutter to cut out the marshmallows. I have a little bit of an internal conflict going on right now. It’s summer time right now, so when it gets hot, who wants to turn on the oven, right? You’re not looking for extra heat in the kitchen. And frankly, why bake something sweet when you can just hit the ice cream stand down the road? 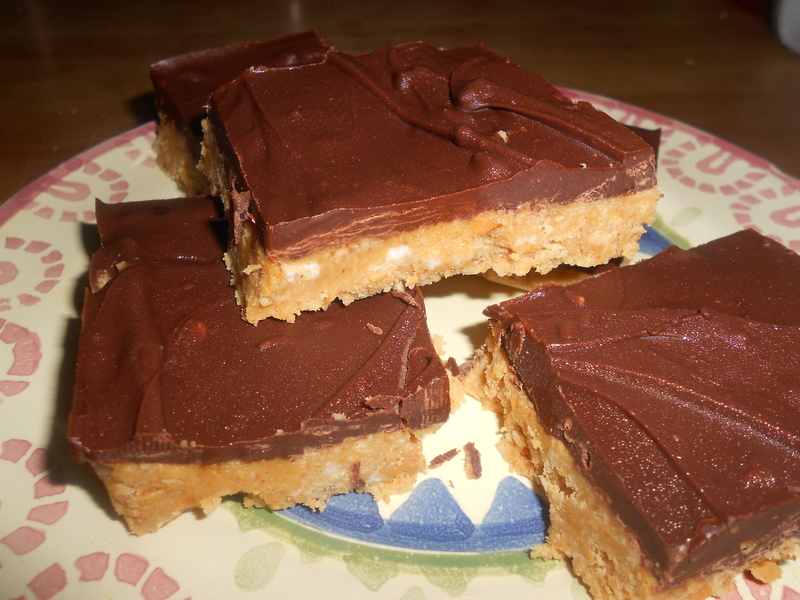 I love no bake dessert options, but sometimes it makes me uneasy that something so good could be so easy. I spend the rest of the year slaving over baked goods with multiple steps and several ingredients, and all of sudden I can combine 3-4 ingredients, throw them in the fridge for an hour, and I have an irresistible dessert. It makes my typical effort seem completely unnecessary. Line a 9 x 13 baking pan with parchment. 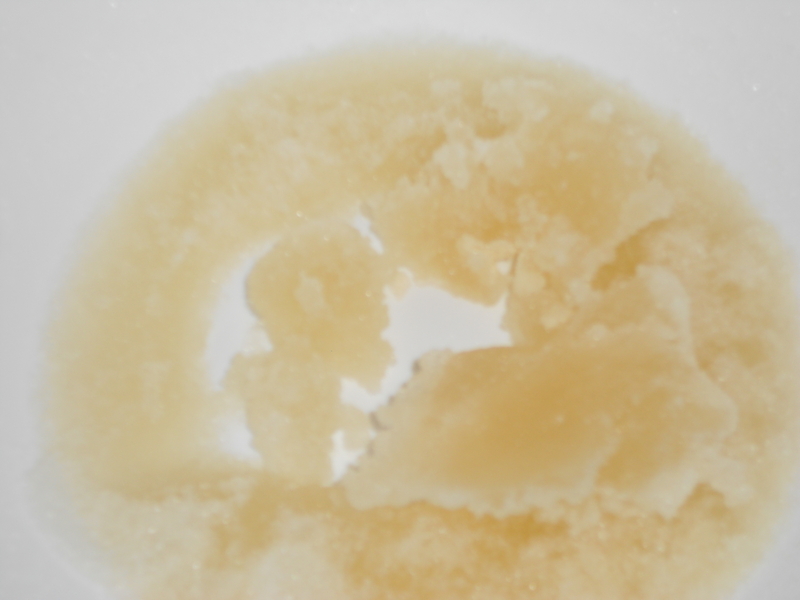 Combine melted butter, crumbs, sugar, and 1 cup of peanut butter in a bowl. 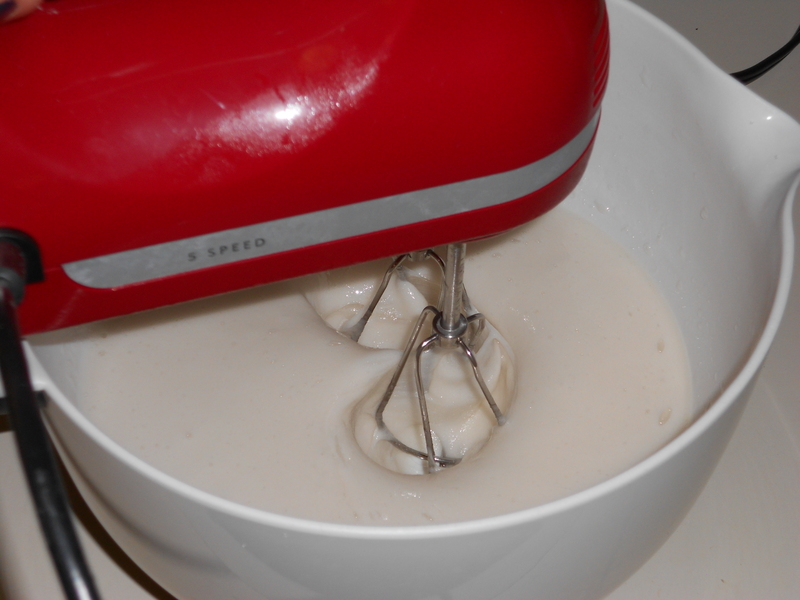 Mix until the dough is a uniform sandy mixture. 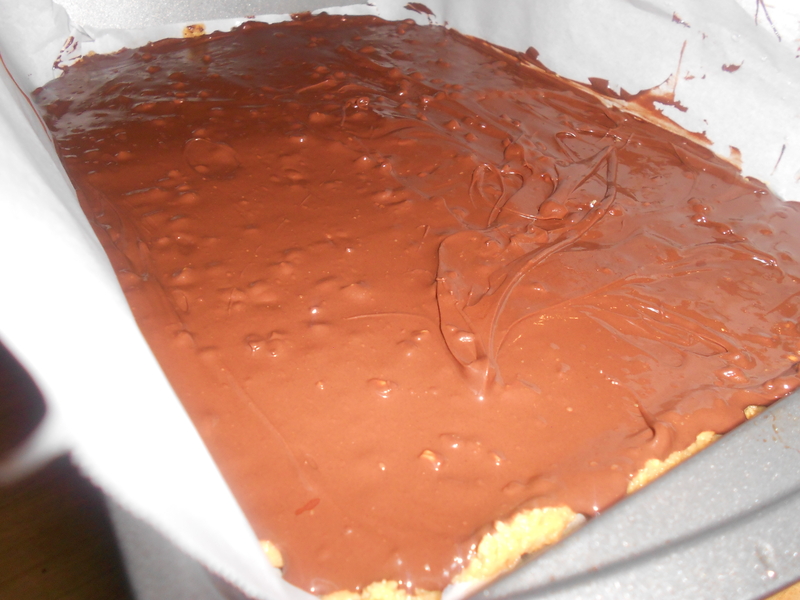 Press mixture evenly into the parchment lined pan. Spread out with an offset spatula if you have one. 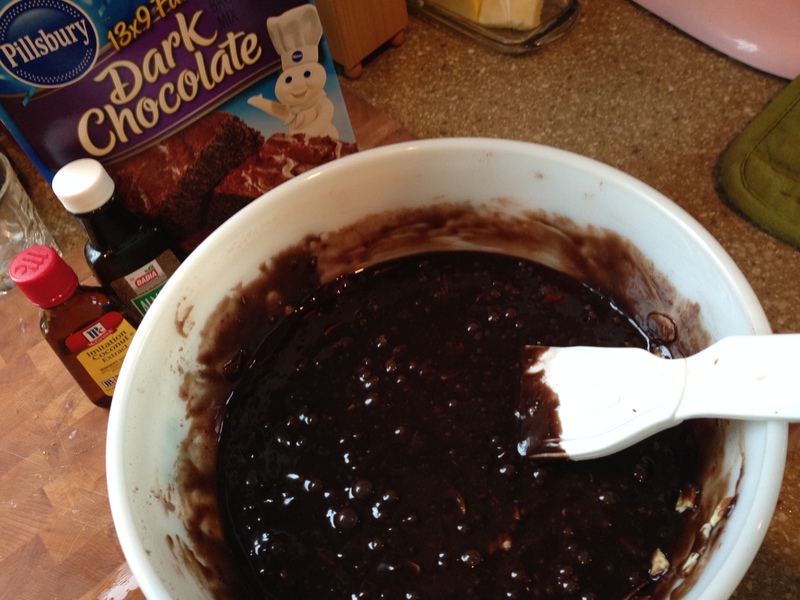 Melt the chocolate chips with the 4 Tbs left of peanut butter. I typically microwave it for 30 sec at a time until mostly melted then I stir until every chip is melted. 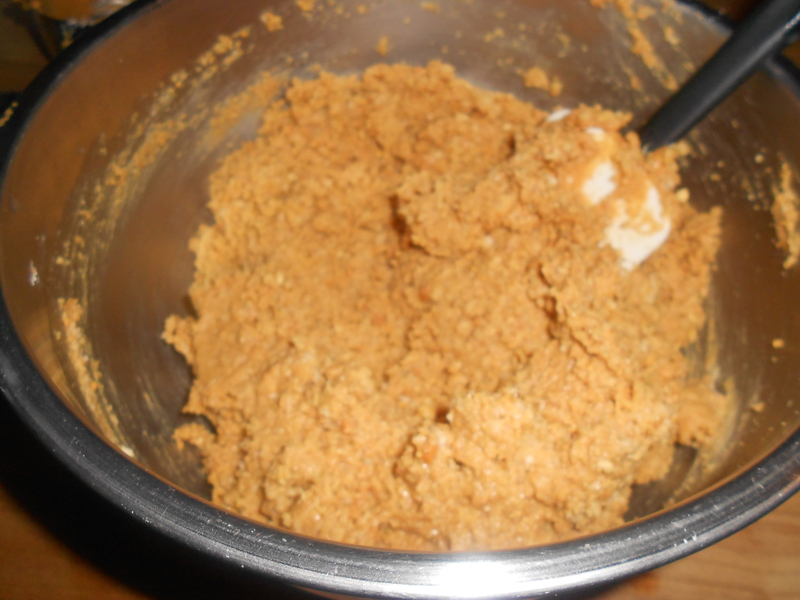 Spread the melted chocolate and peanut butter on top of the peanut butter and crumb mixture. Again, smooth with an offset spatula.